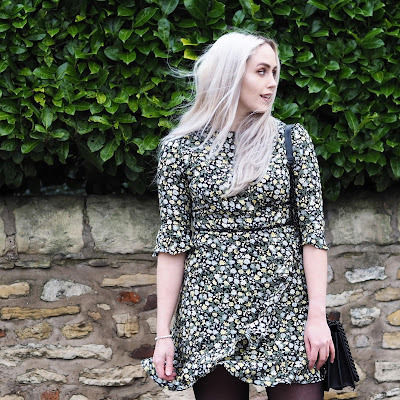 I recently got the opportunity to choose a few of my favourite Oasis pieces to feature on my blog, (which I was practically squealing with excitemement about FYI) so obviously the first thing I went for was a tea dress. I fell in love with the print on this Oasis Ditsy Tea Dress the second I saw it on the website. (Insert "That's going straight in my basket" vine here). Like everyone I'm sure, I get body conscious from time to time, but this dress honestly makes me feel so good whenever I wear it. The fluted sleeves, high waist and the gorgeous frills on the skirt are so flattering in my opinion, and it just makes me feel so cute and feminine. I can't wait till the weather gets a little warmer so I can wear this with bare legs, but I'm actually loving how it looks with tights and black accessories. I used to never think I'd be able to rock a stiletto heel during the day, but these bad boys from Next are SO flipping comfortable, and I just love how they edge up a look! (Pretty sure "edge up" is not a phrase but let's just go with it) I wore them to a recent event with Next from 7am-7pm and my feet by some miracle actually didn't hurt, so I strongly suggest you consider adding them to your collection. This bag is an oldie but a goodie. Back when I used to work for Aldo, I purchased this bag (with a very cheeky staff discount which I'm gutted I don't have access to anymore) and I would get people coming up to me in the street asking where I'd bought it from, but sadly it sold out immediately. The clever beans at Aldo HQ recently decided to bring it back out cause it's still so popular so it's actually now available again! 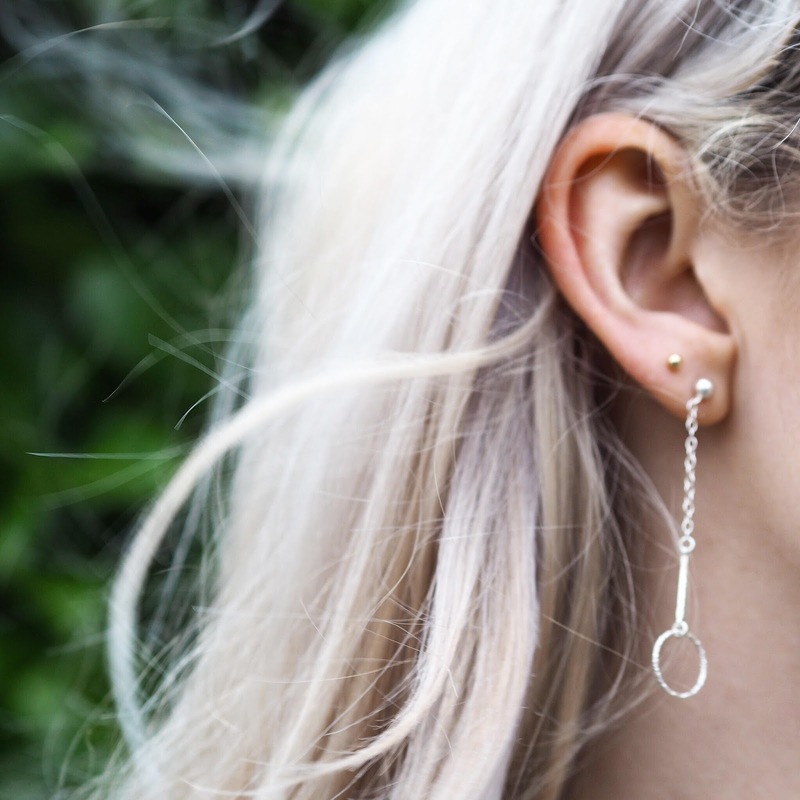 I have to give a shoutout to my gal Esme Louise and these stunning earrings. I previously featured them in my Luxury Gift Guide but I knew they'd make the perfect addition to this outfit. They're so bold yet dainty, and I always get complimented on them cause they're so unique! Love love love. I'm absolutely loving the Spring/Summer 18 collection from Oasis. 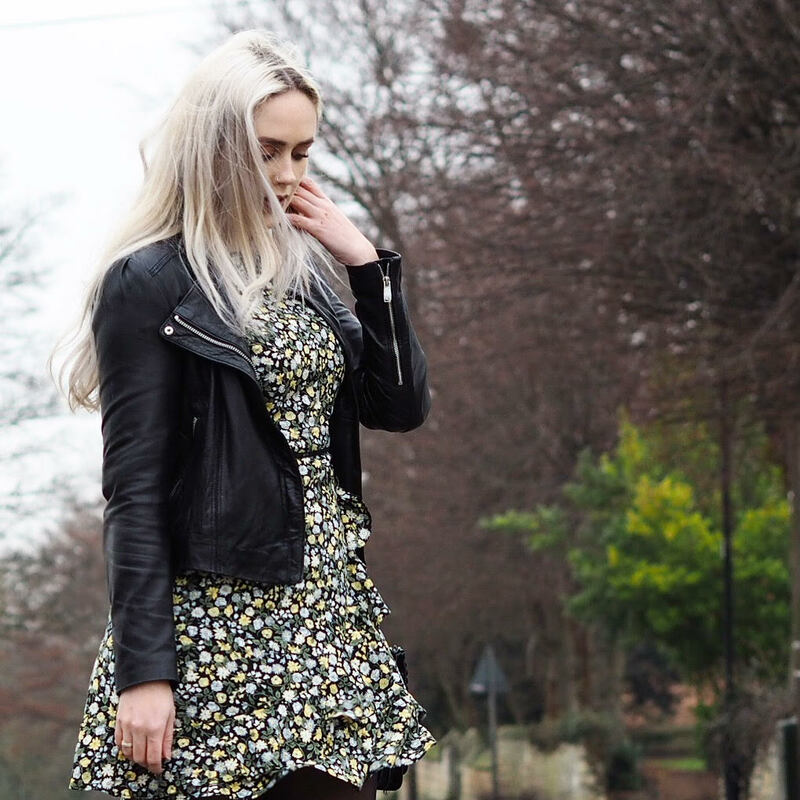 There are so many delicate florals and girlie sillhouettes, as well as some really fun knits and prints. Definitely a brand you should be taking a look at, plus the prices are great for the amazing quality of products you're getting too. There's a couple more posts coming from me featuring Oasis, so keep your eyes peeled!